This course is essential watching for anyone who feels just too buffeted and anxious – by the endless stresses of modern life. 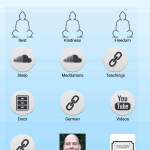 Through different meditations – from the Tibetan Buddhist tradition and by mindful practice Stephan Pende gives us a ‘toolkit’ for how to reset our internal thermostat which, through daily practice, will help us to develop greater inner strength and resilience. This, in turn, will make us happier and more relaxed, making us more ‘open’ to life and more confidence to move about in our world. We will learn the truth that, in fact, the journey of knowing fear is – when viewed differently – the journey of courage. Embracing it will help us embrace more of the fullness of life. 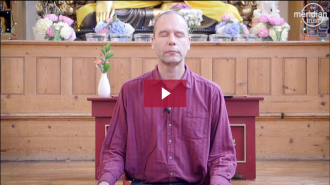 Prior to becoming a student of Lama Zopa Rinpoche (in 1995), Stephan Wormland used his knowledge gained from an MA in clinical psychology and Gestalt training in a psychiatric setting. A monk for 11 years, he spent 5 years in retreat and has more than 3 decades of study and practice of meditation to draw upon.